Contemporary sport could not function without the involvement of voluntary organizations, from local grass-roots clubs to international agencies such as the International Olympic Committee. Management of this sector continues to undergo profound change, largely in response to the challenges of professionalization and increasing expectations in terms of transparency, accountability and ethical behaviour. This book fills a significant gap in the literature on sport management by setting out the principles and practices necessary for effective management of voluntary sport organizations around the world. Each chapter discusses best practice and includes case study material, self test questions and guides to further reading. 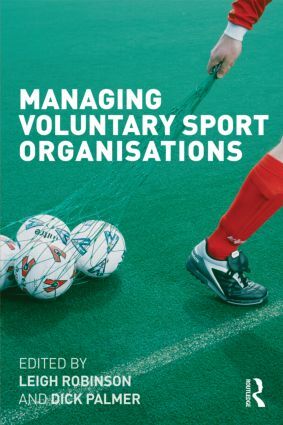 As the only book to outline a professional, theoretically informed and practically focused curriculum for voluntary sport management, this book is essential reading for all students of sport management and all managers working in or alongside the voluntary sector.